With over 24 years’ experience serving the Australian market, the Fleetmark Group have the expertise needed to successfully deliver large branding or re-branding projects. Whether it be working with our customers’ existing style guides or creating new style guides through our experienced design team, Fleetmark will provide effective project management and brand consistency nationwide. Through process discipline our team delivers to the highest expectations of our customers and works in compliance with OH&S requirements in a range of different environments. Our success is driven by the mutual respect of our employees and our customers. 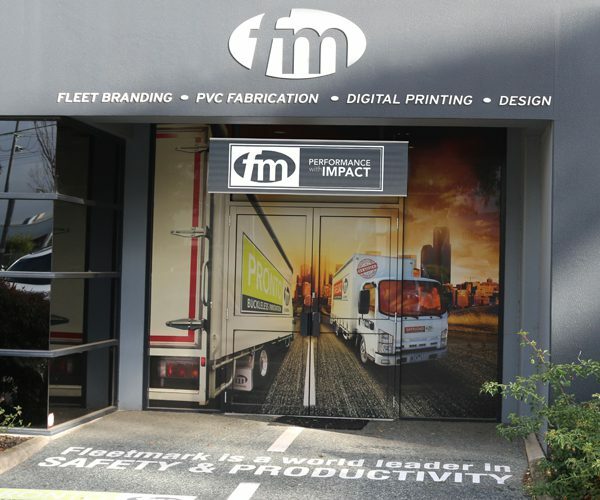 The Fleetmark Group provides innovative branding solutions incorporating the latest technologies in wide format digital print, PVC fabrication, traditional painting and sign writing, installation and service capabilities nationwide through our three Australian facilities (Victoria, New South Wales and Queensland). Fleetmark Pacific in Shenzhen, China was established to provide a procurement arm to our business and a source for the manufacture and supply of custom components into our chosen markets. As a further extension to our business FM Digital is a leading provider of LCD digital signage and LED rental displays in Australia. We use innovative digital-based technology to deliver dynamic, powerful, targeted campaigns for our clients, agencies and partners. Fleetmark works closely with its key suppliers to ensure we not only keep abreast of the latest technologies but deliver innovation and performance with impact to our chosen markets.